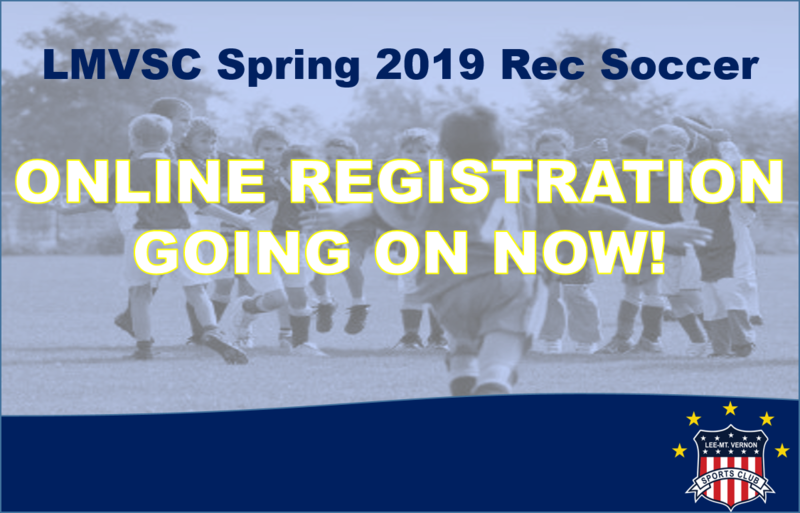 HomeRec Soccer IDP Soccer LMVSC Recreational and Instructional Program Registration – Going on NOW! A family fee maximum of $200 for all registrations done at the same time. The $200 does not include the $5.50 per player County Application fee. Please note that the LMVSC Recreational Soccer “Family Max” does NOT apply to the LMVSC Developmental Program or to the Travel Program. After you have registered, you will hear from your child’s coach after the listed scheduled coach’s meeting. Please make a note of the following dates. CLICK HERE to view important dates on our Club Calendar. Scroll down for descriptions on the different age divisions. Players MUST be 4 years old as of the first scheduled game. Teams are limited to eight players; play six games, 4-vs-4; have one practice a week, SIX games. The Mini Kickers format will consist of 4 v 4 without a goalkeeper. Kindergarten players MUST be 5 as of the first scheduled game OR players must have graduated from one session of the Mini Kickers. Teams have coaches and are limited to eight players; play six games, 4-vs.-4; have one practice a week and SIX games. The E Division format will consist of 4 v 4 without a goal keeper. If there is a special coach you would like to play for, be sure to register early and to enter that Coach’s name in the “special request” box. 1st grade teams will have 10 players on the roster; play SIX games, 5 vs 5; have one practice a week. The D Division 1st graders format will consist of 5 v 5 without a goal keeper. If there is a special coach you would like to play for, be sure to register early and to enter that Coach’s name in the “special request” box. 2nd grade teams will have 10 players on the roster; play SEVEN games, 6 V 6; have one practice a week. The D Division 2nd graders format will consist of 6 v 6 with a goal keeper. If there is a special coach you would like to play for, be sure to register early and to enter that Coach’s name in the “special request” box. 3rd grade teams are limited to 12 players on the roster; play EIGHT games, 7-vs.-7; have two practices per week. If there is a special coach you would like to play for, be sure to register early and to enter that Coach’s name in the “special request” box. 4th grade teams are limited to 12 players on the roster; play EIGHT games, 7-vs.-7; have two practices per week. 5th grade teams are limited to 14 players on the roster; play EIGHT games, 9 V 9; have two practices per week. If there is a special coach you would like to play for, be sure to register early and to enter that Coach’s name in the “special request” box. 6th grade teams are limited to 14 players; play EIGHT games, 9 V 9; have two practices per week. If there is a special coach you would like to play for, be sure to register early and to enter that Coach’s name in the “special request” box. 5th and 6th grade teams are limited to 14 players; play EIGHT games, 9 V 9; have two practices per week. If there is a special coach you would like to play for, be sure to register early and to enter that Coach’s name in the “special request” box. 7th/8th grade teams are limited to 18 players on the roster; play EIGHT games, 11-vs.-11; have two practices per week. If there is a special coach you would like to play for, be sure to register early and to enter that Coach’s name in the “special request” box. High school grade teams are limited to 20 players; play NINE games through the Suburban Friendship League. If there is a special coach you would like to play for, be sure to register early and to enter that Coach’s name in the “special request” box.